Slice a skinned and boned chicken breast horizontally. Pound thin and evenly with a mallet. Season with salt and pepper. Flash fry in a hot pan that has been sprayed with Pam. Place on a bed of spinach (1 cup) and put a variety of vegetables on top (1 cup). 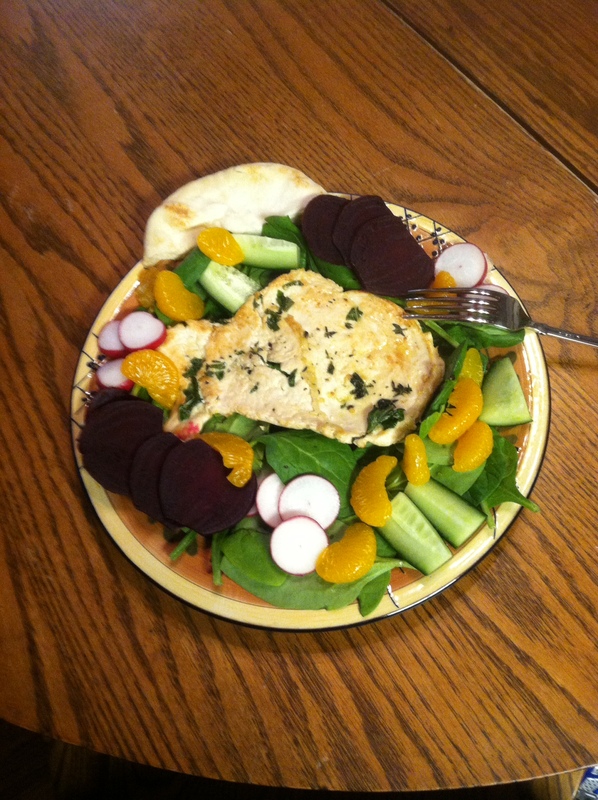 I used fresh cooked beets, radishes, and English cucumbers. Top with 1 cup of mandarin oranges. I used 1/2 a piece of Naan on the side.